Meet Sinclair Smiles! 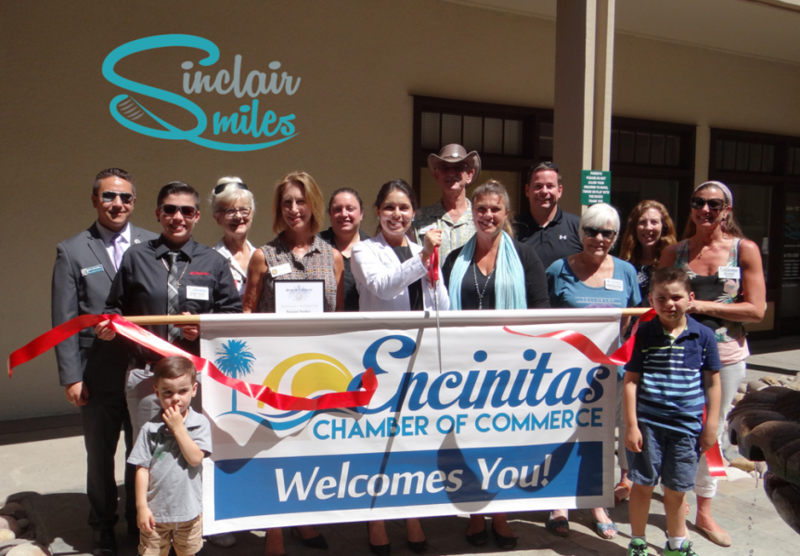 They are a boutique general, family and cosmetic dental practice located off North El Camino Real. Sinclair Smiles opened February of this year and are known for their classy, fresh and fun atmosphere. They offer general and cosmetic procedures such as routine dental cleanings and check-up, gum tissue therapy, cosmetic veneers, Zoom teeth whitening, Invisalign, restorative procedures, laser dentistry and much more. Sinclair sees both adults and children. The Sinclair Smiles Team consists of Dr. Marisela Sinclair (the dentist), Aimee (office manager and treatment coordinator), and Courtney (dental assistant). They are in-network with most PPO dental insurance plans. For those that do not use dental insurance, they currently offer a $99 New Patient Special that includes a comprehensive exam, full series of x-rays, and regular dental cleaning. They also offer a 10% off public service and military discount. Check them out, they are accepting new patients! Their mission is to provide you with high-quality dental care in a personalized manner to get you healthy! You will have a thorough, caring, honest, and gentle experience with them.